I always love reviewing new books for you here, and after my 100 Days of Quilt Improv this new book seemed like the perfect resource! Improv Patchwork by Maria Shell is a lot of fun, and there’s a ton of good information throughout the book as well! Improv Patchwork is great for those of you looking to expand your quilting skills. Maria breaks Improv Patchwork into 10 helpful chapters. The chapter on color and palette building is extremely thorough and helpful. 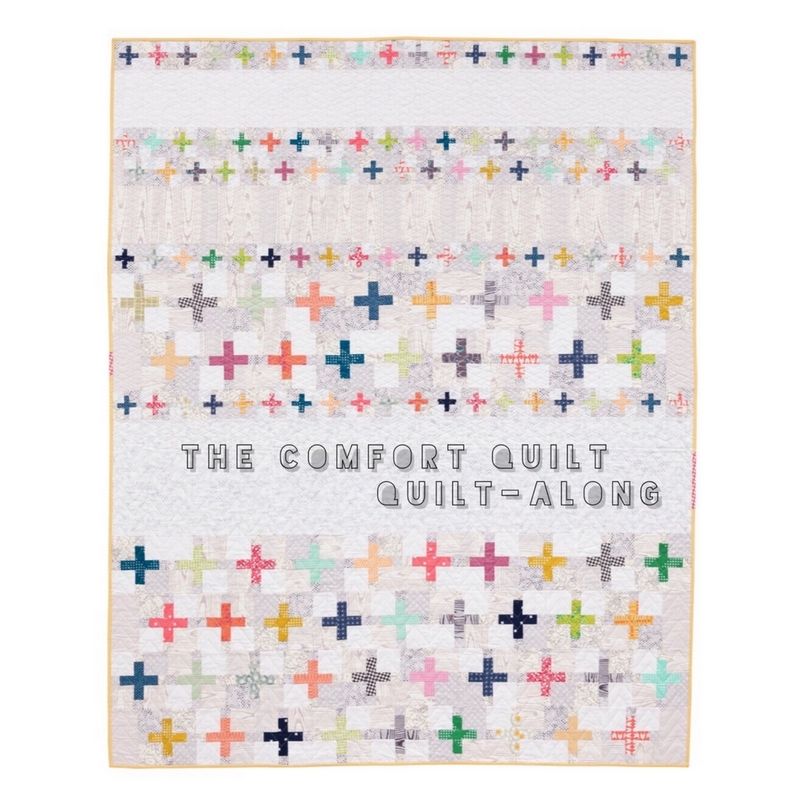 Especially true for anyone stuck in the planning phases of their next quilt. Maria works in solids throughout the book, which helps to give the reader a clear look at the colors used. The solids also offer insight into how Maria decides if a color is right for the palette. 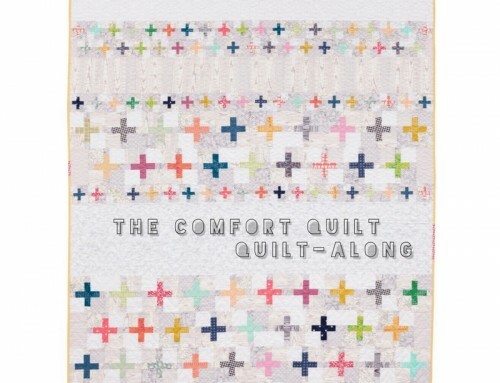 Each chapter then focuses on the various construction methods that Maria uses to construct her quilts! There’s step by step photos for creating stripes, dots, triangles, chevrons, plaids, and more – all with or with out a ruler. 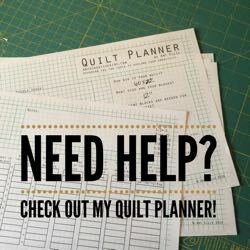 Using a ruler depends on how you prefer to work, and the look you want to create in your quilt. Maria’s Lite Brite quilt caught my eye as I was exploring the book. The dark background makes all the colors pop, and I love the way the colors are placed within the quilt top. Creating movement with color placement always makes me happy! Confetti is also a lot of fun! Maria made Confetti with scraps from other quilts, then floated the entire top with a white border. My eye is drawn to the reds in the quilt top first, then the bright pops of yellow. 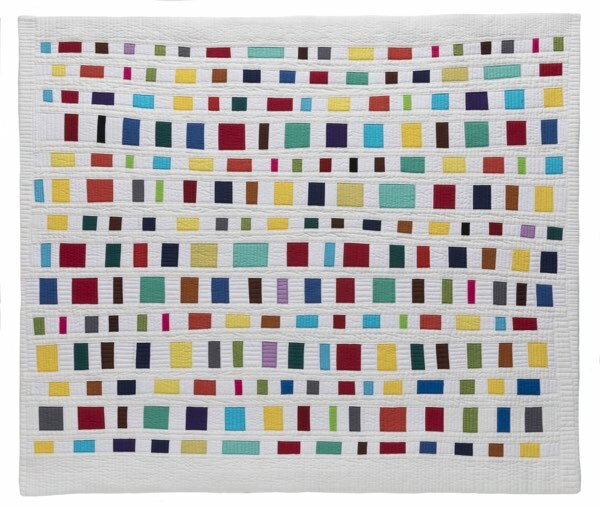 The various sizes of the “dots” make this quilt really interesting –– a visual treat! 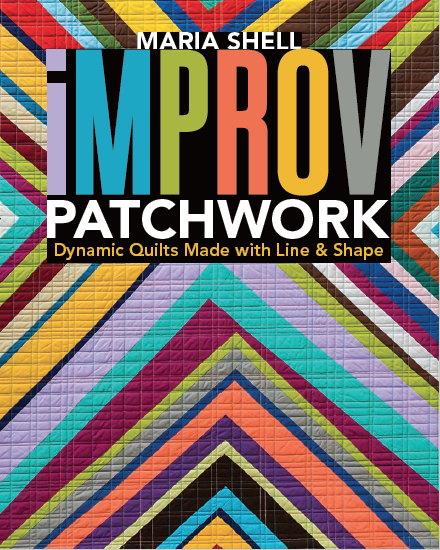 Win a copy of Improv Patchwork! (hard copy for USA, digital for all other countries) Leave me a comment, about your favorite color, to be entered to win. Winner will be announced on October 27th – Good luck! I love Maria’s work! Her book looks great! I love to use anything in the orange-yellow-russet brown range to bring a spark of life to a quilt. Though I can use all the color choosing guidance I can get! My favorite color is teal…. My favorite color these days is teal, which goes nicely with my formerly favorite color, purple. My favorite is orange, anything from brick to orange sherbet. I am really drawn to coral, especially a pink one. Favorites colors are all fall colors…..I tend to change favorites with seasons and mood. My favorite color is definitely pink, followed closely by blue! My favorite color is coral. Thanks for the opportunity. Purple has been my favorite color for years. THanks! I love Maria Shell’s work, her tiny piecing art works she creates. My fave color…gosh I love most all colors, purples, teals, oranges, reds. I love the deep rich tones but I can also find some room to love for pastels. Improv is my favorite technique and I know I’d love this book! My favorite color is purple…all shades are perfect with me! I love doing improve patchwork – it is my newest favoriteist thing! I love the purples, blues and ocean tones. I’m going to take a workshop with her tomorrow! I really can’t wait to see her book in person. Thank you for the chance to win! Right now, the topaz I’m working with. Today my favorite color is red-orange. Looks like q fun book! My favorite colors are in the turquoise, aqua, teal family. There are too many beautiful colors to choose just one! I usually gravitate towards red or blue, but I like all colors. I love all shades of green. Love improve also. Turquoise – and the book looks amazing – it’s on my list! 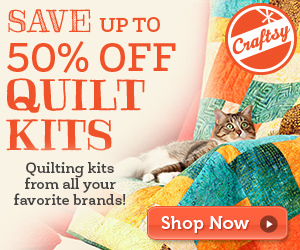 My those are great quilts! I am a blue girl through and though…any shade. My favorite color is yellow but my favorite quilt color is blue. I’m in my 7th decade, and I still don’t know what my favorite color is. I vacillate a lot, but I do use many shades of beige in my quilts and in my closet. Too dull! I really like fire engine red, but it is such a strong color that I hesitate to use much of it. My favorite color was always pink, but now it’s red. I’m not sure what the change means, but I like it. My favorite color right now is Chartreuse! Can’t get enough of it! Thank you for the review! I love orange. Especially paired with hot pink and lime green. I rarely make things with this combo because I realize it’s pretty garish but it is my happy palette! Orange as well for its warmth and vibrancy! Green. All the shades found in nature! My favorite color is and always has been blue. But I love all the colors. Aqua is my favorite color, but I rarely use it. My favourite color is blue. I try to have something blue in every project that I do (even a little quilt for my granddaughter’s doll). I love purple. It and often orange are in most of my quilts. I love the way Maria shows by example with clear text. It’s a great resource for anyone! Just took a class with Maria…it was great …I love Kona Eggplant!! All my friends know orange is my color! Maria’s Book looks very intriguing. Will buy it if I don’t win it! My favorite color is purple. This looks like a great book. My favorite color is blue, all shades of blue. Which shade of blue is my favorite depends on my mood on any given day. Improve is so much fun and a great creative adventure. Blue is my favorite color, followed closely by green. 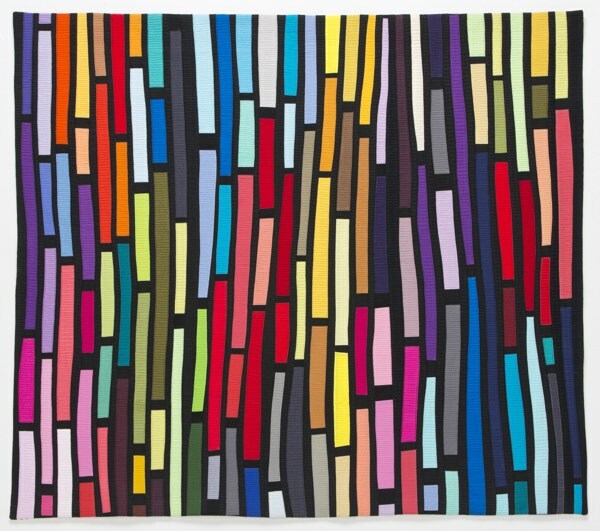 But I love how Maria combines so many colors! I hate to play favorites, but I don’t think I could bear to not have orange in my life! I took a class with Maria yesterday in LA! Her quilts are extraordinary & she is a skilled teacher. I would love to win her book. Thank you for the chance to win! I could put purple into everything! My favorite color is red, no yellow, no aqua, no green. I love all colors, did I mention purple. The book looks amazing! And my favorite color to work into most any project is black. Turquoise is my favorite color. The book looks so interesting! Pink…is one of my faves…and also one that I go back to…all the time. I don’t think I am able to pick a favorite color as I seem to love shades of them all. Really like the looks of this new book. Thanks for a chance to win a copy! Green, no… blue, no… green. Blue-green. I’m loving orange these days! Thanks for a chance to win this very interesting book! Greens and blue are my favorites, and I have just started using Kona Silver as a neutral. Thanks for the chance to win the book. Cobalt blue is my favorite with clear turquoise a close second. Maria’s book looks wonderful. Thanks for the chance to win it! Blue with green as a close second. I used to hate orange but now I love it! Looks like a fabulous book – I’m a blue lover. My favorite colour is lime green! I believe it goes with everything. I like your collocation, no matter what kind of color patterns, there is a match with the fabric. My favorite color these days is white, which goes nicely with my formerly favorite color, purple. Really inspired from the words written in this blog by author, he descibes his blog with his professional ways. 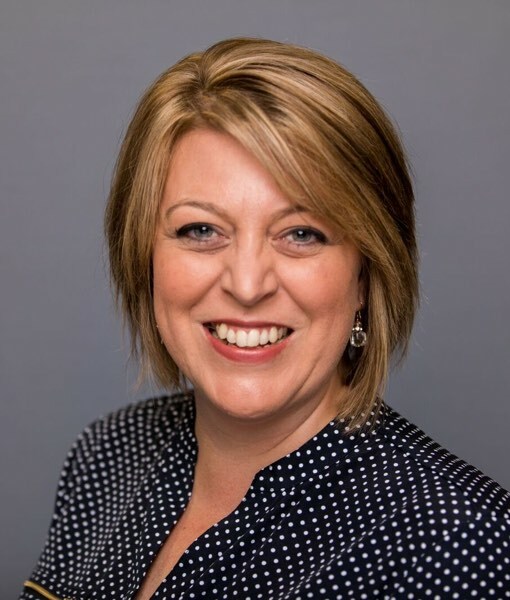 Thanks for sharing this blog with some guidance.